I’m Sophie’s mom, Shelby! 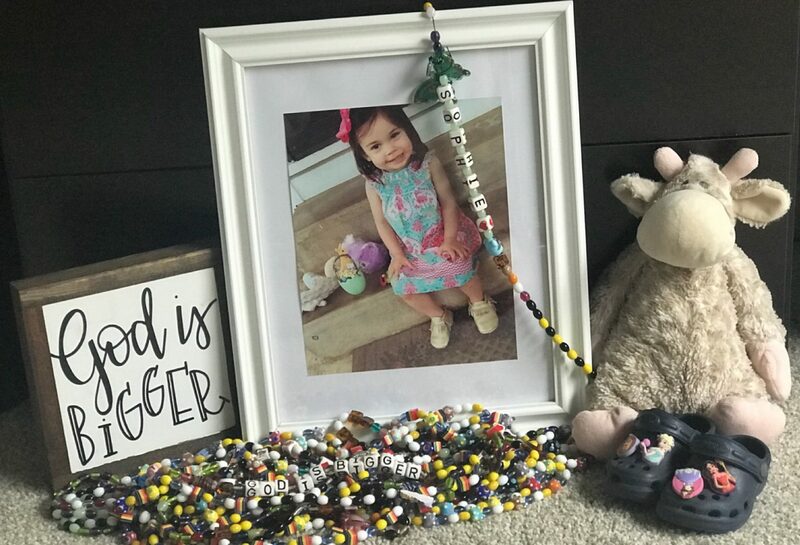 Sophie was a normal, healthy 2 year old until May 18, 2017. My husband, Jonathan, and I rushed her to the ER with breathing complications and were immediately sent to Children’s in Dallas where we discovered a ‘large softball’ sized tumor in her chest. My sister and I named her tumor SHONDA after Shonda Rhimes, creator of Grey’s Anatomy because she ruins everyone’s lives and destroys all happiness on that show. Soph was diagnosed with T-Cell Lymphoblastic Lymphoma. We were in and out of the hospital for 12 weeks with fevers and getting chemo. On August 8th we were moved to ICU on a ventilator while she got 15 rounds of highly aggressive chemo in 5 days because she wasn’t responding to chemo. The rescue chemo we had to give her completely wiped out her ability to eat, walk, talk, use her hands, and do pretty much anything independently and we spent the next 4 months in neurological rehab trying to get her strong enough for a stem cell transplant. But, her tiny body just couldn’t handle it. She again relapsed on December 22, 2017 and we decided to withdraw treatment. She was done. So, we spent 13 days cuddling, reading, singing, watching movies, and loving on her until she passed away in our arms on January 4, 2018. My goal through this entire process has been to be transparent and honest and shine light on what really goes on during a battle against cancer. I haven’t sugarcoated the bad days but, I’ve also been able to show the great work the Lord has done throughout this. I hope to continue to do that as we continue on without her. We wouldn’t have hope without Jesus and it’s truly my privilege to share that with others. I’ve also found that I enjoy the writing process and it’s been quite therapeutic for me to tell her story. So that’s where this blog comes in! I also share on Sophie’s Facebook Page and would love for you to visit! Thank you for taking the time to read our stories!